The filmmaker "has expressed his intention, in the event the deal closes, to donate the majority of the proceeds to his philanthropic endeavors," a spokesperson said. 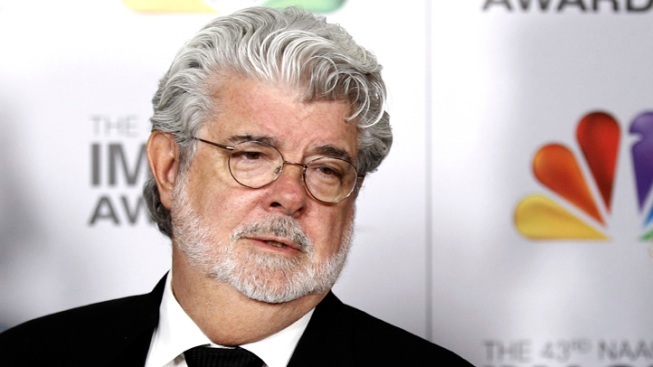 George Lucas, pictured here at the 43rd NAACP Image Awards in Los Angeles, will donate most of the funds from the purchase of his company Lucasfilm to philanthropic endeavors. In case you missed the news, George Lucas came up on $4 billion recently when Disney decided to purchase his company Lucasfilm, and the "Star Wars" filmmaker already knows where he's going to put all that money. Star Wars 7 will be an "original story"
Lucas will donate most of the funds to a foundation that will primarily focus on educational issues, according to The Hollywood Reporter. "George Lucas has expressed his intention, in the event the deal closes, to donate the majority of the proceeds to his philanthropic endeavors," a spokesperson told THR. "For 41 years, the majority of my time and money has been put into the company," Lucas said in a statement Wednesday. "As I start a new chapter in my life, it is gratifying that I have the opportunity to devote more time and resources to philanthropy." There's no word yet as to what specific foundation Lucas has chosen, but it's possible that it could be Edutopia, which is part of the George Lucas Educational Foundation, and he is currently the chairman. In 2010, Lucas said to the Giving Pledge, "I am dedicating the majority of my wealth to improving education. It is the key to the survival of the human race. We have to plan for our collective future--and the first step begins with social, emotional and intellectual tools we provide to our children. As humans, our greatest tool for survival is our ability to think and to adapt--as educators, storytellers and communicators, our responsibility is to continue to do so." Way to keep your word, Georgie. Have you seen these Star Wars-Disney memes?